Don't order checks from your bank anymore! 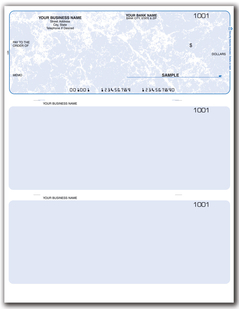 Save time and money with Anderson Graphics' business checks. Our business checks are an ideal choice for both small and large businesses; they are competitively priced and come with industry-standard security features, so you don’t have to sacrifice safety for a good price. Add your company logo for a professional look at no charge. Your satisfaction is guaranteed. If you are not satisfied with your product or service for any reason, please contact us so we can correct it.